Khartoum entered discussions with the International Atomic Energy Agency (IAEA) yesterday about the completion of the first Sudanese nuclear plant which will receive technical support from the IAEA. “A delegation from the General Directorate of Nuclear Generation, of the Sudanese Ministry of Water Resources, Irrigation and Electricity, met in Vienna with officials of the technical projects of the IAEA,” the official Sudanese news agency SUNA said. According to SUNA, the meeting was attended by the Director General of the Sudanese Atomic Energy Commission, Abde -Ilah Moussa, and the Secretary General of the National Radiological Control Agency, Mohamed El Hassan Abu-Udnin. “Sudan is progressing well in building the manpower abilities, the governing of technical institutions, and the legal and legislative frameworks that enable it to meet the standards of the IAEA,” according to engineer Nassir Ahmed Al-Moustafa, Director of the General Directorate for Atomic Generation Department of the Ministry of Electricity. Al-Moustafa has praised the technical support provided by the IAEA to Sudan, which has largely contributed to the development of a roadmap towards the establishment of the first nuclear power plant, according to the criteria set by the agency for the peaceful uses of nuclear and atomic energy. In September, Sudan was elected, alongside Kenya, as a member of the board of council of governors of International Atomic Energy Agency (IAEA), representing the African continent for the period between 2017 and 2019. The Sudanese government said that the preliminary surveys to determine the location of the first nuclear plant have been completed and that the start of work on the confirmation and detailed studies plans would begin by the end of 2017. In December 2016, the Minister of Water Resources, Irrigation and Electricity, Moataz Mousa, announced in a speech before the Sudanese parliament that 2017 will see the construction of the first nuclear plant to generate 1200 megawatts of electricity. Last year Russia’s energy firm ROSATOM announced that it plans to sign a memorandum of understanding on cooperation in peaceful use of atomic energy with Sudan’s Ministry of Water, Irrigation and Energy in 2017. In May 2016 the governments of Sudan and China signed a framework agreement for the construction of the east African country’s first nuclear power plant. More than 50 Christian and Muslim sites in Israel and the occupied West Bank have been attacked over the last eight years, but authorities have only filed nine indictments. According to official data reported by Haaretz, 53 mosques and churches have been vandalised since 2009 (the data goes up to July 2017). Yet only nine indictments have been filed, and only seven convictions handed down. 45 of the cases have been closed, with just eight still under investigation. The statistics from Israel’s Public Security Ministry shows that 11 investigations were opened in 2013, and five people convicted. 22 Christian and Muslim sites were vandalised in the period 2014-2016, while four such attacks were recorded in just the first half of 2017. From 2009 through 2012, there were 17 such incidents without a single indictment. Many arson attacks on mosques have never been solved, including in West Bank villages such as Kafr Yasif, Luban al-Sharqiya, Beit Fajjar, Hawara and Qusra. Experts cited by the paper say they only know of two cases that were solved: “an arson attack on a Christian seminary near the Abbey of the Dormition, Jerusalem; and an arson attack on the Church of the Multiplication of the Loaves and Fishes in Tabgha”. 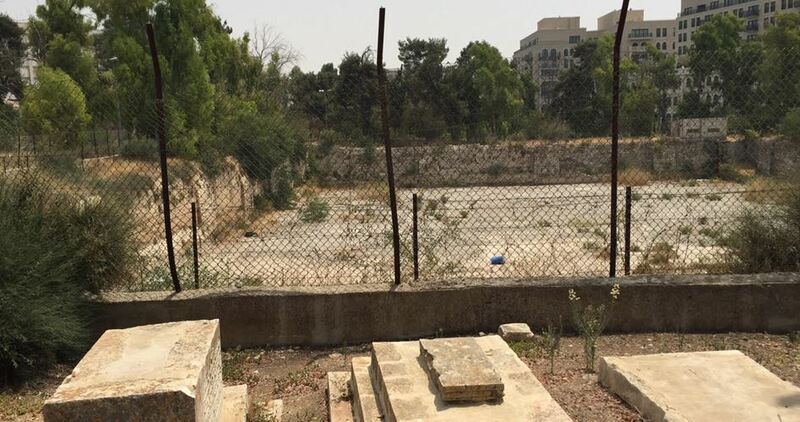 Israeli forces dug up Muslim graves in Maman Allah cemetery west of Occupied Jerusalem for establishing settlement projects aimed at Judaizing and changing the status quo in the holy city. Mustafa Abu Zahra, Chairman of the Committee for the Care of Islamic Cemeteries in Jerusalem, said that a huge grave including 8 skulls and large skeletons, that belong to Muslims who were buried in the cemetery for hundreds of years, were dug up as a result of the excavations. He told Quds Press that Israeli settlement projects have ate 70 per cent of the graveyard’s area which was estimated at 200 dunums. He called on competent authorities to intervene in order to halt such Israeli violations. 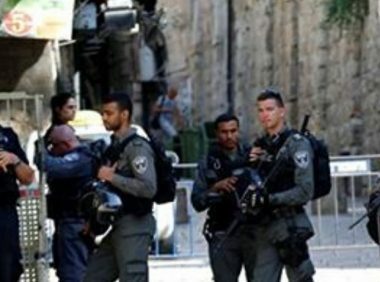 Israeli authorities on Monday raided a number of Palestinian residential buildings in al-Matar neighborhood to the north of Occupied Jerusalem and took their measurements in preparation for their demolition. 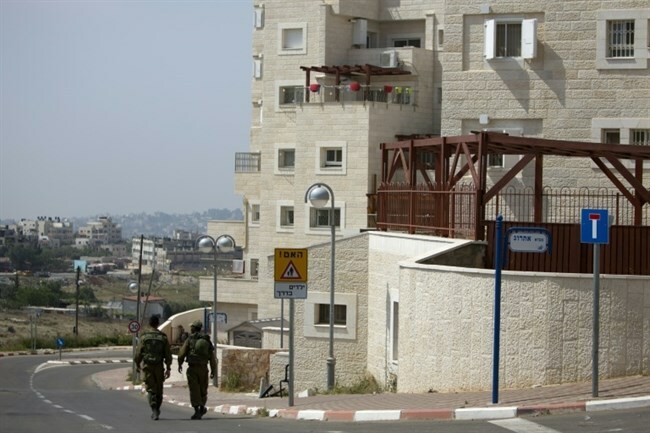 Mayor of Kafr ‘Aqab, Emad Awad, told Quds Press that the Israeli authorities in the morning hours broke into the four buildings intended to be demolished for the construction of a new settlement road and took their measurements. The Jerusalemite activist Raed Hamdan said that the residents of the threatened buildings were assaulted during the raid. According to Hamdan, one of the four buildings is uninhabited while the three others are homes for 80 Palestinian families consisting of 300 people. Israeli authorities claim that these buildings are unlicensed and that they are close to the separation wall, meaning that Palestinian youths can mount their rooftops and throw stones at Israeli targets, Hamdan pointed out. Based on the Israeli plan, a new settlement road where only private vehicles can pass will be constructed following the demolition of the residential buildings. 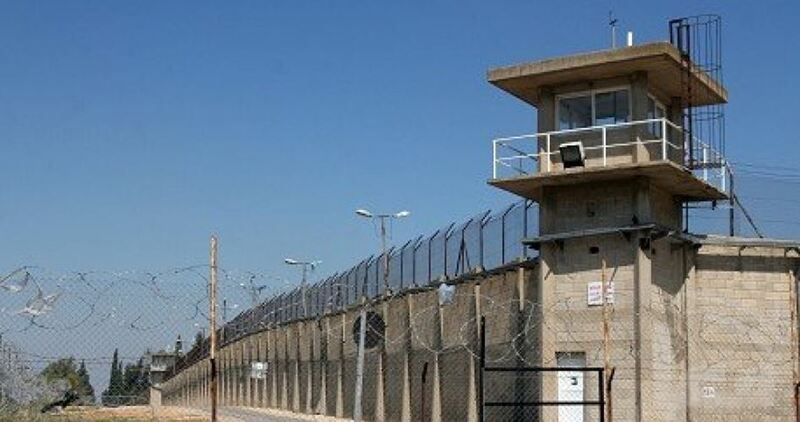 Israeli military court of Ofer imposed a life sentence against the Palestinian detainee, Amjad al-Najjar, 37 from Silwad town east of Occupied Jerusalem, after convicting him of allegedly killing a Jewish settler in an anti-occupation shooting attack in June 2015. The ruling against captive Najjar also stipulated the payment of a fine estimated at 350,000 shekels. His wife and two children were denied the right to attend the court hearing. 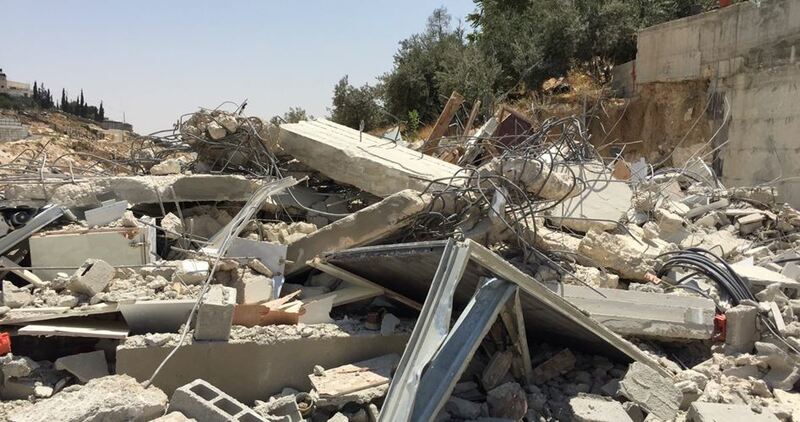 Israeli occupation forces Monday destroyed a Palestinian car wash in the town of Deir Ballout, to the west of Salfit city in the central West Bank. Local sources said that Israeli soldiers forced Palestinians to shut down their stores located along the road that leads to the village of Kufr al-Dik, before proceeding to destroy the car wash. The demolition, which was done at the pretext of lacking construction permission, also included leveling of olive trees as well as an adjacent land. BETHLEHEM (Ma’an) –The Palestine Liberation Organization (PLO) has decided to submit an official request to the International Criminal Court (ICC) to investigate illegal Israeli settlement activity in the occupied West Bank and East Jerusalem, PLO Executive Committee member Dr. Hanan Ashrawi told Ma’an on Monday. Official Palestinian Authority (PA) Wafa news agency reported on Sunday that the Executive Committee had “asked” the ICC to begin investigations, though Ashrawi said that the committee had only made the decision to move forward with submitting an official investigation request. A PLO statement reportedly accused Israel of carrying out a “silent ethnic cleansing” in Jerusalem, the Jordan Valley, Hebron, and in other areas of the occupied West Bank particularly exposed to Israel’s settlement project. Reports emerged on Sunday that Israel’s Civil Administration is expected to advance plans within the next few weeks for up to 2,000 new illegal settlement units in the occupied West Bank. Separately, four Palestinian human rights organizations submitted a 700-page communication to the International Criminal Court (ICC) on Wednesday alleging that Israeli officials have committed war crimes and crimes against humanity in the occupied West Bank, including East Jerusalem. 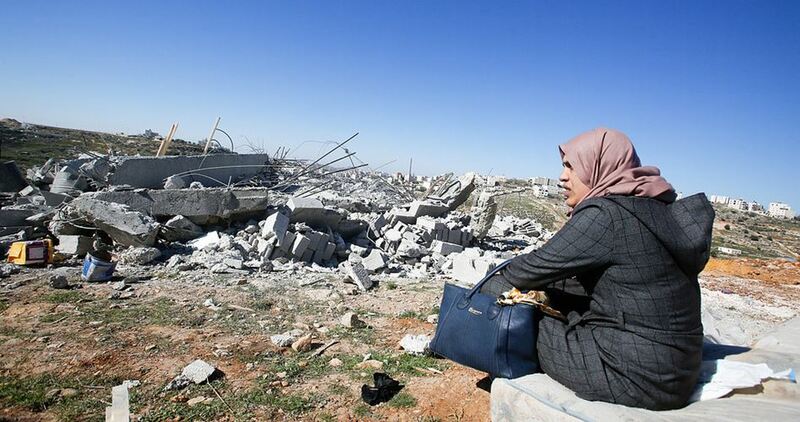 BETHLEHEM (Ma’an) — The Israeli state has called on the Israeli Supreme Court to approve plans to demolish an entire Palestinian Bedouin community and forcibly transfer its residents to the town of Abu Dis, which human rights groups say would amount to a war crime. Another petition has also been submitted by Israeli settlers asking for the demolition of the school in the community, which was established in 2009 and serves more than 150 children between the ages of six and fifteen — some of them from neighboring communities. “It is shameful that settlers from Kfar Adumin, who received their lands for free from the government, are fighting for the evacuation of their Palestinian neighbors, who resided in the area longer before them,” Peace Now’s statement concluded, referring the the illegal settlement located adjacent to Khan al-Ahmar. 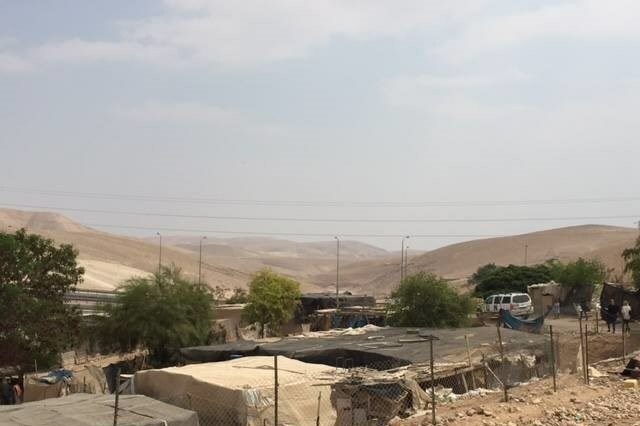 Two weeks ago, B’Tselem said in a letter addressed to the Israeli prime minister, defense minister, justice minister, chief of staff, that they would bear responsibility for the war crime if the demolition of Khan al-Ahmar is carried out. According to updated data cited by B’Tselem, Khan al-Ahmar, which is situated on land Israel has earmarked for illegal settlement expansion in the area, is home to 32 families — about 173 individuals, including 92 minors.